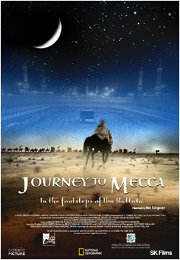 This IMAX movie takes a look at the travels of a young Arab scholar, who travelled three times further than Marco Polo. His initial trip was across North Africa to Mecca, to take part in the Haj. He had many adventures and close escapes along the way, dealing with bandits and the forces of nature.